Last week, we covered a new concept called gamification from a business and marketing point of view. 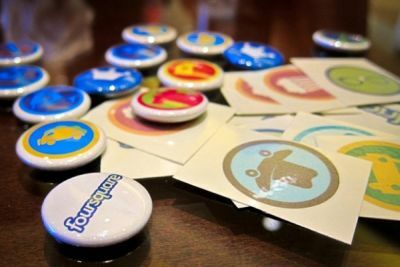 Gamification is an emerging concept that redefines the interaction on social media and provides a sustainable way to engage with your target market. The big question is: How can we add a game layer on top of your existing business model? This week, we will cover some tips and tricks about how to gamify your business. Gamification is achieved by integrating game mechanics with your existing strategy. Technically speaking, game mechanics are set of rules and feedback loops intended to produce an challenging, addictive and enjoyable gameplay. In other words, game mechanics are the building blocks that can be combined and applied to gamify any non-game context. A clever combination of different game mechanics creates an attractive game that satisfies both the provider (you) and the players (existing and potential customers, clients, visitors, users,). The anatomy of a game is rather simple. Experts underline that, in a successful game players must be given a motivation to do something (emotional investment, promise of reward, etc), the ability to complete the action (ability can mean skill, but it can also mean having the time or the game options) and a trigger (a cue) to complete the action. Here is a selection of the most effective game mechanics that you can easily incorporate into your business model, employee motivation tactics or social media strategy. These building blocks are designed by game developers over the course of decades and constitute most of the successful social games. Achievements are a virtual or physical representation of having accomplished something. Achievements can be easy, difficult, surprising, funny, accomplished alone or as a group. Achievements are a way to give players a way to brag about what they’ve done indirectly as well as add challenge and character to a game. Achievements are often considered “locked” until you have met the series of tasks that are required to “unlock” the achievement. Progression is a game dynamic in which success is granularly displayed and measured through the process of completing itemized tasks. 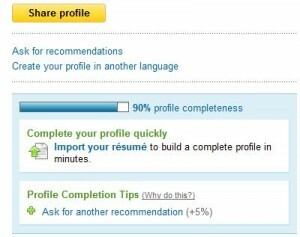 LinkedIn, for example, provides a progress bar that indicates how much of your LinkedIn profile you’ve filled out. They’ve found adding the progress bar greatly increased the number of people who filled out their entire profile. As human beings we all love to progress and complete. That is why there are multiple shorter “levels” in games instead of a single long scenario. Bonuses are rewards after having completed a series of challenges or core functions. Bonuses can be awarded for completing a combination of achievements or just for a specific special task. Bonuses don’t have to be tangible, intangible bonuses also play an important role as a motivator, such as a new badge, a new higher rank, or being the best contributor employee of the month. It is crucial that bonuses are relevant and desirable to the player, so think like a player when it comes to defining bonuses. A great component for every social marketing campaign is community collaboration. Community collaboration is the game dynamic wherein an entire community is rallied to work together to solve a riddle, a problem or a challenge. It can be immensely viral and very fun. It not only trains to work as a team but also proves the benefits of the group synergy to the player. It is important to come up with ideas to divide the challenges and assign them to different people and create a platform for them to share their challenges. Countdown is an essential dynamic in which players are only given a certain amount of time to do something. This creates a sense of urgency that it is one of those components that make the games addictive. Activity increases frenetically until time runs out, which ends in a forced extinction or loss of progress. Daily deals on discount networks are a good example. It is especially very effective on people who tend to avoid penalty as a nature. With the right blend of game mechanics, gamification can work for various aspects of your business. Examples from current applications include customer acquisition/ retention/ loyalty programs, increasing website engagement as well as creative brainstorming, strategic planning, new product development, team building and so on. 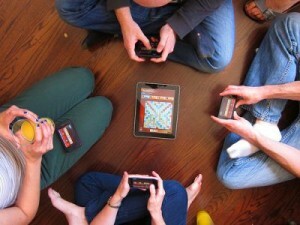 Gamification works and it is here to stay because it appeals to the core of human nature. It is up to us to find out ways to use the concept for our advantage and accelerate the journey to our goals, whether it is just to get more customers or be the “number one” in your area. Game mechanics provide a blue print for creating effective game strategies that can teleport you to the next level! This entry was posted in Gamification, HBM, Technology and tagged game mechanics, Gamification, HBM, social games, social media. Bookmark the permalink.